NIVEA’s latest body care range promises visible fairness while protecting and repairing the skin cells. 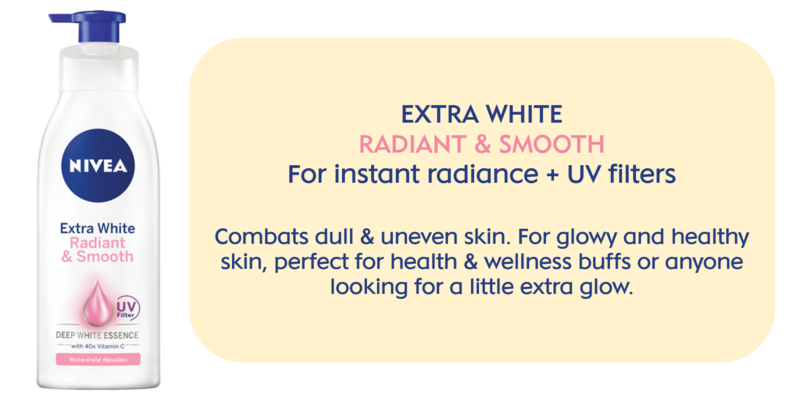 With NIVEA Extra White, pale, damagedskin is transformed into healthy and smooth skin that radiates and glows from within. I Always use Nivea lotion to make my skin radiant and smooth. Highly recommend this product. It really help my skin to feel smooth after a few months. Always suffering from dry skin and this helps alot.